You want to get started with DIY, but you’re not sure where to begin. You see no point in paying for repairs when you could probably fix something yourself… you just don’t have the skills yet. But that doesn’t mean you never will. What you need to do is start getting your hands dirty now. Some simple DIY repairs you can do without worrying about breaking anything. Basically, you’re looking for something that will help you to develop the skills needed for DIY repairs and builds. Once you’ve mastered these five repairs, you should be ready to move onto more complicated projects and fixes. However, before you go on, we recommend you stop, and head to your local toy store. While you’re there (or raiding your kids’ toy box) grab yourself a box of Legos. Get to grips with the basics of connecting and disconnecting the pieces, and follow the instructions carefully. If you’ve ever looked on with envy at modern kids, easily taking apart PCs and replacing touchscreens on smartphones, and wondered how they have the confidence to play around with things like that, then this is almost certainly the answer. They played with Lego bricks. This toy is great for hand-eye coordination, three dimensional thinking, and if you can master a build then it proves you can follow instructions. Many of the principles of PC building in particular can be found in standard Lego builds. Additionally, Lego makes a great material for many DIY computing projects. An appreciation of electricity is important for learning basic DIY. Whether you intend to put up shelves or build a robot with a Raspberry Pi, knowing just what happens when you touch a bare wire is vital. One great way to learn about the dangers of electricity is to teach yourself how to change a fuse or circuit breaker. Naturally, you shouldn’t go into this without guidance. 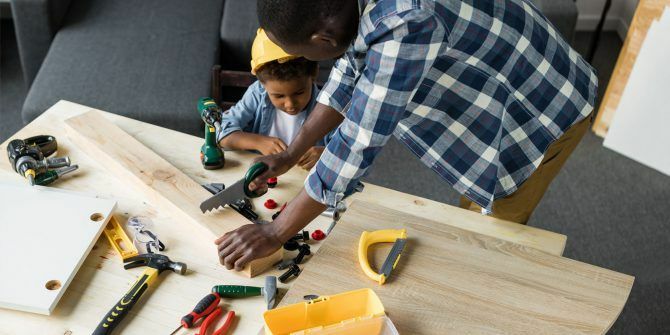 However, this is a straightforward task with clear parameters that will, once completed, set you on the road to understanding a key tenet of DIY projects. If you’re in the U.K., meanwhile, this video will demonstrate how you can successfully change the fuse in a plug. This video also starts with a quick primer on how fuses work. All you need to do now is try it out. As with any DIY endeavour, remember to follow all safety precautions. 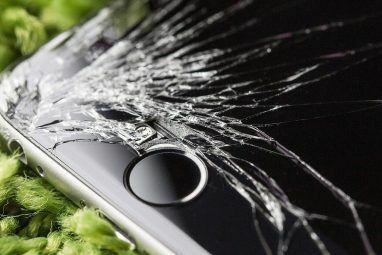 If there’s a problem with your mobile device, you usually have two options: take it back and pay for repairs, or struggle on with a damaged phone or tablet. Perhaps the screen has smashed. Maybe the problem is with your battery. Either way, a repair is needed. While neither of these repairs are particularly simple, they’re not difficult either. But before you reach the stage of being able to replace your smartphone’s touchscreen display The Guide To Replacing a Damaged Mobile Phone Display The Guide To Replacing a Damaged Mobile Phone Display If you have damaged the screen of your mobile phone – perhaps you dropped it or sat down while the device was in your pocket – you’ve immediately given yourself a headache. Can the phone... Read More you’ll need to learn a few basic fixes. Start with getting to grips with opening the device. This differs depending on how much your phone costs. Cheaper devices, for example, will have a removable back cover. This will let you remove the SIM card, perhaps provide a slot for a microSD card 5 Mistakes to Avoid When Buying a MicroSD Card 5 Mistakes to Avoid When Buying a MicroSD Card Buying MicroSD cards may seem simple, but here are a few critical mistakes to avoid if you don't want to regret your purchase. Read More , for instance. In some cases, particularly with older phones, it will permit access to the battery. If you need to change the cell due to charging problems, this is obviously advantageous. Once you’ve become comfortable with this example of basic smartphone repairs, perhaps you could graduate to something more complicated. Replacing the screen might be a long way off, but learning how to open the phone or tablet is an option. This is usually a case of using special tools to prise the two halves of the device apart. It’s also usually specific to a particular device, so look up the process for your model on YouTube and watch it a few times before you have a go. Oh, and start out with an old, unwanted phone. Don’t practice DIY skills on your iPhone X Apple Announces iPhone X & iPhone 8: Everything You Need to Know Apple Announces iPhone X & iPhone 8: Everything You Need to Know What's so special about the iPhone X? Can you really justify the $999 price tag, or is the refined iPhone 8 a better buy? Read More ! Soldering is a tricky one to teach DIY newcomers. You’re basically combining hand-eye coordination with heat and electricity! It’s understandable why so many people feel intimidated by soldering. But you really shouldn’t be afraid. You can solder. Indeed, anyone can solder. If you can paint, you can solder. Drive a car? You can solder. The video above shows some basic soldering tips, and we’ve even created a guide on basic soldering projects Learn How to Solder, with These Simple Tips and Projects Learn How to Solder, with These Simple Tips and Projects Are you a little intimidated by the thought of a hot iron and molten metal? If you want to start working with electronics, you're going to need to learn to solder. Let us help. Read More . If you’re short of a circuit board to test your soldering skills on, perhaps try two wires, or some old, unwanted components (without a power source!). At this stage, you just want to make sure you’re clear about basics like tinning, and where the solder is in proximity to the soldering iron. Once your soldering is neat, tidy, and safe, you’ll be ready to try it out on some working (or repairable) electronics. 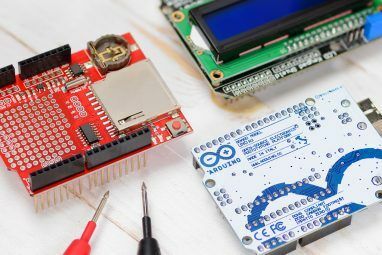 If you’re new to electronics, it’s worth browsing out guide of the top electronics skills that you need to know Beginner's Electronics: 10 Skills You Need to Know Beginner's Electronics: 10 Skills You Need to Know Many of us have never even touched a soldering iron - but making things can incredibly rewarding. Here's ten of the most basic DIY electronics skills to help you get started. Read More . Remember when we discussed Lego? That whole principle of connecting and disconnecting pieces is the same one underpinning PC design. Hard disk drives, RAM (or memory), DVD drives, CPUs, PCI-e graphics cards — it’s all about connecting the right components in the right way (something that’s even more important when building a computer How To Build Your Own PC How To Build Your Own PC It's very gratifying to build your own PC; as well as intimidating. But the process itself is actually quite simple. We'll walk you through everything you need to know. Read More ). Sure, your PC (typically a tower, but this also applies in a more general sense to laptops and all-in-ones) can be opened by undoing the screws. But once the power supply is isolated from the mains electricity, the rest of the computer can be disassembled. My own first taste of computing DIY was in the late 1990s, replacing the 3.5-inch floppy drive of a Commodore Amiga. I was astounded at how straightforward the process was. In fact, the most complicated step was buying the replacement drive by mail order! Pretty much all you need for opening (and taking apart) a PC is the right screwdriver, and an anti-static wrist strap. This video demonstrates how straightforward taking the components out of a PC is. Remember, this is a total tear down. If you just want to replace the PC’s RAM to expand your computer’s memory How To Upgrade Your Laptop In a Flash: Add a New Hard Drive & Increase RAM How To Upgrade Your Laptop In a Flash: Add a New Hard Drive & Increase RAM Laptops are not as easy to upgrade as desktops. Many components are simply soldered on to the motherboard and others, though technically replaceable, are restricted by technical skill and cost. There are, however, two upgrades... Read More (resulting in a faster machine), then all you need to do is focus on that part of the video. Once you’re more familiar with taking apart PCs, you may find that you want to go further. Old HDDs, for example, contain some interesting components that you might use How to Take Apart a Hard Drive and What to Do With the Magnets How to Take Apart a Hard Drive and What to Do With the Magnets All mechanical hard drives contain rare earth neodymium magnets. These can be expensive to buy, but old hard drives can easily be harvested for these precious materials? Read More . Heated glue guns, used to dispense hot glue onto surfaces are pretty awesome. Indeed, it’s unlikely that you can complete any DIY project without a hot glue gun. The idea is simple: heated glue is applied to an object, something is pressed against it, and as the glue cools, the objects are stuck together. These tools are not dangerous, but if used carelessly you can burn yourself. As such, use a hot glue gun with care. Here’s a useful primer. How useful is heated glue? Well, it can get you out of a few sticky situations. While not as versatile as 3D printing or Sugru putty 25 Geeky Uses for Sugru 25 Geeky Uses for Sugru Read More , heated glue can, nevertheless, be used to repair items that standard glue might not fix. An example is the stand for my Raspberry Pi touchscreen display How to Setup Your Raspberry Pi Touchscreen How to Setup Your Raspberry Pi Touchscreen The Raspberry Pi comes with a variety of useful add-ons, but one piece of kit that has proved particularly popular is the Raspberry Pi 7-inch Touchscreen Display. Here's how to set one up. Read More , the stand for which recently broke. Rather than buy a new stand, I simply repaired both legs of the stand by holding them in place, and gluing around the sides. In effect, I added (much needed) extra support to the legs. Gaining confidence with a glue gun is a great addition to any DIY arsenal. By now, you should be chomping at the bit to get started. You should be feeling confident about all of these basic tasks. Hopefully, our guides and videos have given you everything you need to make a start in the world of basic DIY. Before long, you’ll be planning bigger and better projects! Did these easy repairs work for you? If not, how did you get started with DIY? Tell us below. 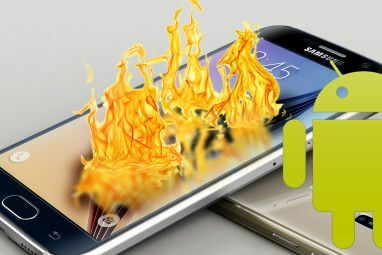 Explore more about: Electronics, Smartphone Repair.